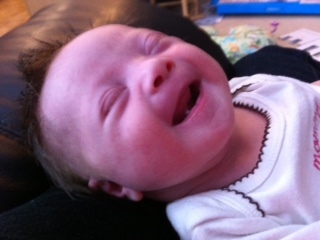 Let’s be realistic here: the vast majority of people we meet in the street know little to nothing about Down syndrome. I knew as much as my ninth grade Biology teacher had taught me (I was a good student, but still, not much stuck). Extra chromosome, learning difficulties, yada yada. While I know lots now, I still know nothing. When I talk with other people, I have learned to assume they know nothing realistic about Down syndrome and take the approach that it is simply my job to teach them. After all, two years ago, I knew nothing. Why would they? In addition to that, people who were born with Down syndrome even 10 years ago have a dramatically different life experience than those being born today. It is important to educate ourselves if we, in turn, want to educate others. Believe me, there is nothing that I love more than setting the record straight when it comes to information about Down syndrome. Down syndrome (Trisomy 21) occurs when a third copy of the 21st chromosome is present in an individual. There are three types of Trisomy 21 – translocation and mosacism are much more rare. Tessa has the standard type. Usually, the extra chromosome is from the mother, but in about 8% of cases, it comes from Dad. No, we don’t know which parent gave Tessa her special gift. 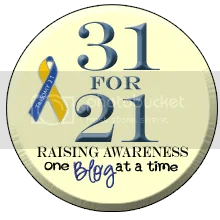 Trisomy 21 is a random and common abnormality. It’s not a disease, it’s not contagious, it’s not preventable, it’s not predictable. It happens equally across all races, religions, and economic backgrounds. Yes, the odds increase as a woman ages, but most babies with Down syndrome are born to younger moms simply because younger moms have more babies in general. You will often hear about the IQ of people with Down syndrome being low to very low. However, we know now that IQ tests do not accurately measure the intelligence of people with Down syndrome because of their difficulties with communication. We know that with interventions and schooling and inclusion, people with Down syndrome most often live independent lives. They can learn to drive cars, get married and some have children. They can work, they can go to college. They can do most anything – they just need some extra time and maybe some extra help. Typical issues that people with Down syndrome might deal with include heart defects, intestinal issues and Celiac disease, hypothyroisim, obstructive sleep apnea, leukemia, and in the long term, Alzheimer’s disease. Not everyone will have these issues. It is important to know that while these occur more often in Down syndrome than in the typical population, response to treatment is much more successful if a person has Ds. 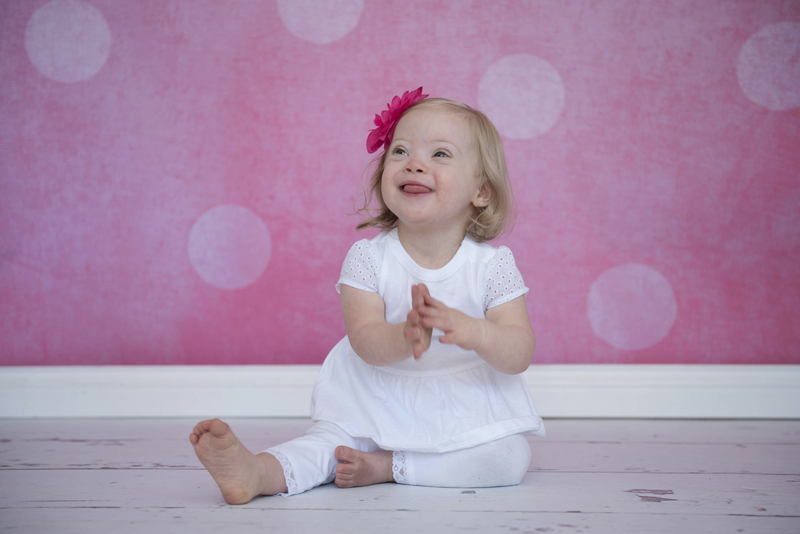 Most importantly, studies continue to show that people who have Down syndrome tend to express very high levels of satisfaction with their lives. In one study, 99% of the over 3,000 individuals studied reported being happy with their lives and 97% like who they are. Their families are generally content; families also experience lower divorce rates than those without children with Down syndrome. Please stop for a moment and think about all of the people that you know. Are 99% of them happy with their lives? Tessa had her first eye doctor appointment yesterday! There are a variety of eye issues that kids with DS are more likely to have. Most commonly, we’re talking about nearsightedness, but they also check for glaucoma and cataracts, cross-eyes, and clogged tear ducts. Clogged ducts are common in all newborns!! Tessa has one, as did Ellie, but she passed the rest of her exam with flying colors. As a part of the exam, Tessa had her eyes dilated. Because of the weak dosage used on little babies, we had a considerable wait before she could be seen. The eye doctor’s office has a “special” waiting room for their children (though I wonder if they just keep us separate to keep the other patients less cranky!). Another mother in the room was holding a little boy who looked about 6 months old and she struck up a conversation with me. This seems to happen to me a lot… I know the life stories of a lot of strangers and Gina was ready to tell me hers, too!! As the conversation continued, she told me about her little boy, Robby. Remember that I thought he looked about 6 months? Well, in actuality, he was 14 months. Robby had been born without a left kidney, without a left lung, and with severe heart defects, all of which had not been diagnosed prenatally. When she brought her concerns to the doctors three weeks after his birth, she had been dismissed and it took considerable effort for him to receive any care. Robby takes all his nutrition through a feeding tube, has had heart surgery and multiple hospital stays. She told me about how he is now terrified of doctors, how he can’t sleep more than an hour at a time, how she feels like she is neglecting her five other children… my heart ached for this woman! As the conversation eventually turned, Gina wanted to know why I was sitting in an eye doctor office with a newborn baby. Not thinking much of it, I just told her that Tessa has Down syndrome and needed to be checked to make sure her eyes were working. I will never forget the look on this woman’s face. She looked so sad!!!!! And I was tongue-tied. How to respond?? I’ve blogged about this before – that this is not a sad event for us, that we don’t feel hurt or lost… maybe a little confused or overwhelmed at times, but never sad!! And yet this woman, with the weight of the world on her shoulders, was feeling sad for me. How does one communicate this joy that we feel to a stranger? So I just did what any other new parent would do…. I stammered through some kind of weak response and then pretended that I had just received a text message and excused myself from the conversation. If you’re waiting for me to say something like “just kidding! I was an advocate for Tessa and others with Down Syndrome!” you’ll be disappointed to learn that I literally did pretend to get a message. And today, I find myself trying to decide how I will approach people with this reaction in my future. The fact that in some areas of the country, 80-92% of babies prenatally diagnosed with DS are aborted weighs heavily on my heart. 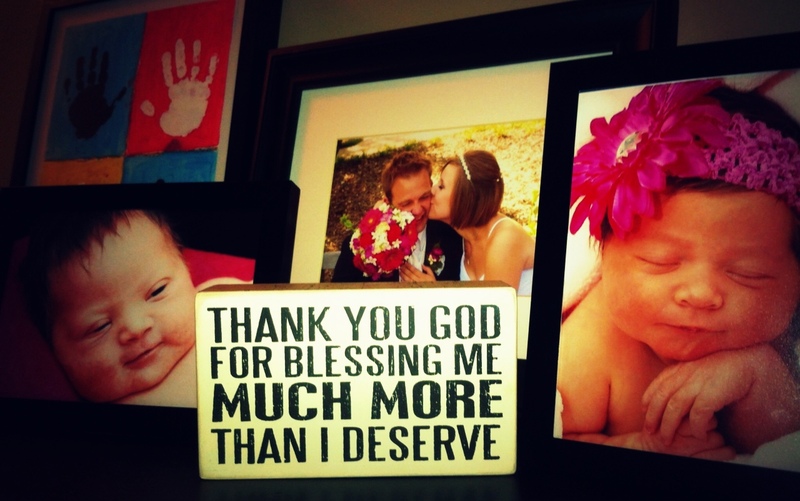 How can I show others what a blessing this will be?? As Gina left the office with her son, she whispered “good luck” to me and gave me a look that said “I am so sorry for you.” She meant no harm by this, I am sure, and her family is certainly in my prayers today. But “luck” isn’t what my family needs. Support is a better word, maybe, and the countless messages of love, hope, and encouragement that we have received from family and friends have made it abundantly clear that we are not lacking. We have a community behind us!! My hope is that Tessa’s community will be touched in such a way that people learn to see all babies as blessings in the lives of their families. Just look at this smile!! How can you not adore it? !